A clear mind is one of the main pillars of a healthy and happy life. At the Cardio Metabolic Institute of New Jersey we have dedicated trained professionals on staff who provide counseling services and help individuals break unhealthy habits, reduce stress and improve their overall quality of life. Our professionals can also help with stress management, anxiety, depression and building healthy relationships with those around you. At CMI we have three different types of psychology and counseling visits that vary depending on your needs and the others who may or may not be involved in your wellness journey. 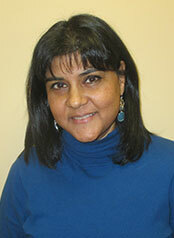 Suruchi Saini is a Licensed Professional Counselor (LPC), and Certified Clinical Trauma Professional (CCTP). She has extensive experience in successfully counseling, coaching, and providing psychotherapy to groups, individuals, couples and families. She utilizes holistic approach (meditation/mindfulness/muscle relaxation and more) to help her clients learn life skills to manage stress and anxiety, increase productivity in their personal and professional lives and re-train mind for mindful living to achieve their full potential. She believes that because of various psychological/behavioral issues, at times people feel hopeless but with some professional counseling and life coaching, anybody can bounce back and make powerful changes in their lives! Since 2005, she has been passionately working with people from all walks of life in different settings, and has been conducting stress management and self-development workshops in various organizations and conferences. She was also a lead clinician at Rutgers - University Behavioral Health Care (UBHC) until January 2015. 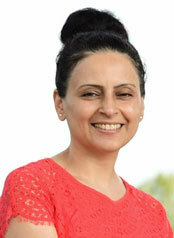 She earned her Master’s degree in Counseling from University of Texas at San Antonio, and Bachelor’s degree in Psychology from Punjab University, Chandigarh, India. She speaks English, Hindi, Punjabi, and Urdu. She enjoys reading, meditating, singing and hiking! My role as your therapist is to carefully guide you to a resolution of the issues you present in therapy. I believe in a supportive solution-focused modality of therapy that will allow you to empower yourself to find a new and different way to handle the challenges you face. I provide a confidential and safe environment where you are able to discuss and work on issues pertaining to your presenting problem. Though I have experience in working with a wide range of psychological problems, I have a special interest in working with patients dealing with anxiety and mood disorders including but not limited to panic disorder, OCD, postpartum depression, anger management, and self-esteem. Given my Asian Indian-American nationality, my experience in understanding diversity and providing multicultural counseling to various ethnic clients, I am able to offer a special sensitivity to those patients with issues pertaining to their specific cultural values.